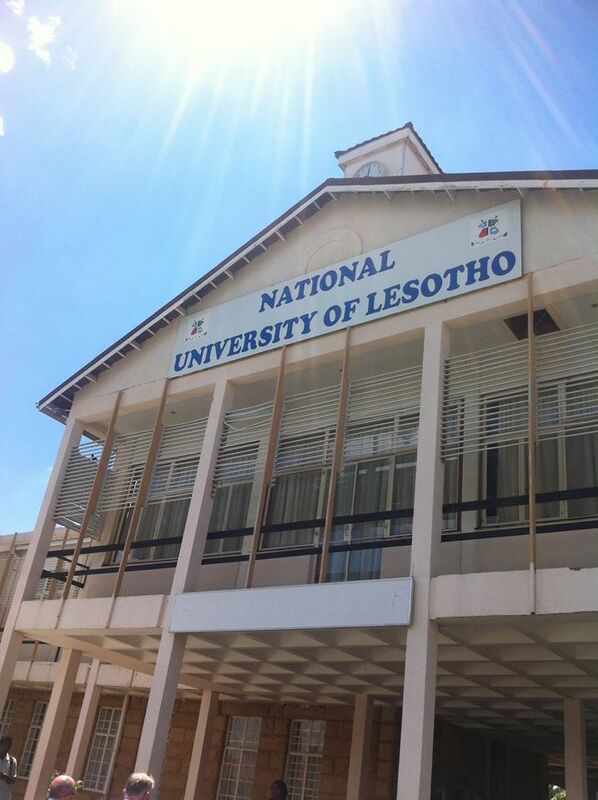 With the dust settled on the big Mapathon last Saturday in the National University of Lesotho ordinary service returned. The more routine #MapLesotho mappers reported finding a few semi done, or nearly finished tiles. Which is great because it means they can mop up the few extra edits quickly and mark the HOTOSM tiles as done. The task everyone was focussed on was the Western Rural task, which went from 31% complete on Saturday 28th March to 40% complete on the 5th of April. The weekly osm stats draw-down from Søren Johannessen showed that the week following the Mapathon had 47,166 nodes, which shows that the engagement lasts a little longer than the formal sit-downs. That compares favourably to the weekly total of the range 7,000 - 12,000 edits. The work continues, with lots of interesting discoveries and tweets about how everyone is getting on with the task. 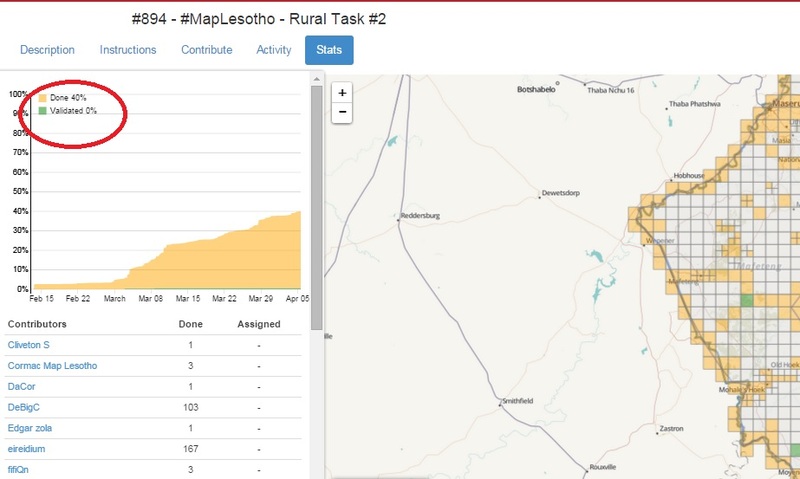 A future blogpost will explain the sequence and order for #MapLesotho tasks that has been agreed with the consent of the Assistant Physical Planners, the Openstreetmap community. 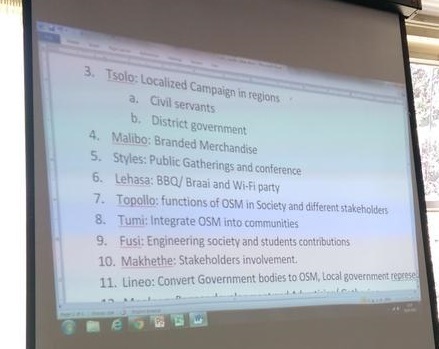 This will include discussion of the #MapLesotho plan, as sketched out by David Corley with these stakeholders in February.